Social networking can be a great thing to have. With it you can make new friends and keep in touch with the ones you already have, including those you may not have seen in a long time. (I have gotten back into communication with some of the people I left behind in my old hometown over twenty years ago!) It can also be a terrific way of finding a career. But like anything in this world, social networking can also be abused. Some people go onto Facebook and Twitter simply because they are bored or have nothing better to do with their time–and soon become bored with that, too. It is important that you find constructive ways to use social networking so that it helps you instead of harming you. Both Facebook and Twitter can be excellent examples of social networking sites that can link you to jobs. The friends with whom you are in contact can recommend good places where you can go to find the type of work that you want. Statistics have shown that slightly over half of all employees have checked Facebook before deciding whether to hire somebody or not because it can help them learn about somebody’s online reputation. You can make a kind of “video resume” that you can post on YouTube for employee seekers to view. You can also put together a work portfolio that consists of pictures, videos, PowerPoint presentations and other things that you have created to promote yourself. These items can also contain links to your website so that employers can learn more about you, including the kind of work that you have done in the past. For finding work, however, nothing really beats Linkedin, a site specifically created to help aspiring workers in the job seeking process. Here you can simply look for a job, or you can purchase membership in one of three Job Seeker services–in order of increasing costs, they are Job Seeker Basic, Job Seeker and Job Seeker Plus. You can also join existing groups or create one of your own devoted to the work you want to do. 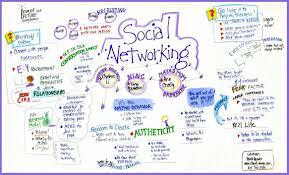 A social networking site is useful as far more than a place to find employment. It can also be used to promote a business that you have built. The business logo can be featured on your Facebook page along with everything that you want people to know about it—what products and services you provide, what kinds of people are likely to buy and use them and so on. You can even give your business an account of its own independent of the one that you have set up for yourself personally. Tell the World to End Gendercide in China. The Facebook Causes app can also be used to post pledges—among them is a pledge to stop texting while driving because it can be fatal. By signing these petitions and pledges, and encouraging others to do the same, you can really make a difference—in your life, in that of your family, in your community, in your country and in the world. As you can see, there are plenty of perfectly constructive and beneficial purposes to which you can put your passion for using social networking sites. So three cheers for social networking!!! Joe Johnson is an avid blogger who contributes to a number of publications on a range of topics from researching, study habits, and career development. Click here to learn more about specific career development and social work programs.